Men like meat, sports, the female form, and gadgets. Like death and taxes, these are facts of life. The recent boom in home automation technology has made most men giddy with excitement, imaging having Bond-esque homes with high-tech gadgetry at every turn. Home automation isn’t just cool and stylish; it’s also convenient, giving you push-button control of many of a home’s functions. At this year’s Consumer Electronics Show, home automation took center stage as one of the most anticipated, exciting parts of the show. With so much cool home automation tech on the market and continuing to be released, here are some gadgets that most men are sure to love. 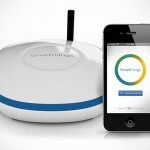 Umbrela is a new oddly-spelled home automation platform that debuted at this year’s CES. 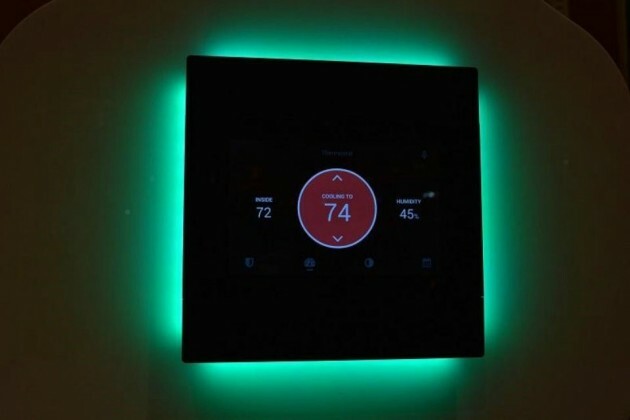 Much like the Wink Relay that’s already on the market, Umbrela is a wall-mounted touchscreen display that serves as a command center, linking all your home’s automation technology. 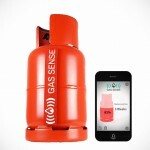 It offers an impressive array of built-in sensors including an ambient light sensor, temperature and humidity sensors, and carbon monoxide and air-quality sensors. Typically, the switches you install to control the flow of electricity to your outlets is one of the least-exciting forms of home automation tech. However, what began as a Kickstarter campaign could actually be “the world’s safest, smartest power outlet.” Newcomer Brio will ship two new models of automated switches this fall, the Brio Smart Outlet and the Brio Safe Outlet. The base model, which is the Brio Safe Outlet, is a sleek, modern, disc-shaped outlet that replaces your standard rectangular outlets. This intuitive outlet remains inactive by default unless it detects a plug — and only a plug, at which point the Brio’s cutting-edge technology allows it to release only the amount of electricity needed to power the appliance or device by detecting its electrical demand. When Brio Outlets are not in use, they’re inactive and safe, which means that baby fingers that wander too close to the sockets remain completely unharmed. 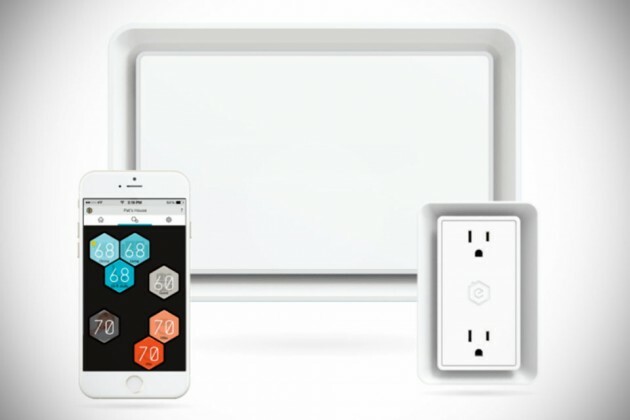 The Brio Smart Outlet is a more premium model that offers the same smart features as the Safe Outlet, but also works in conjunction with accompanying carbon monoxide, water, and smoke sensors, which activate an LED light in the Smart Outlet when triggered while also alerting you via the Brio app. 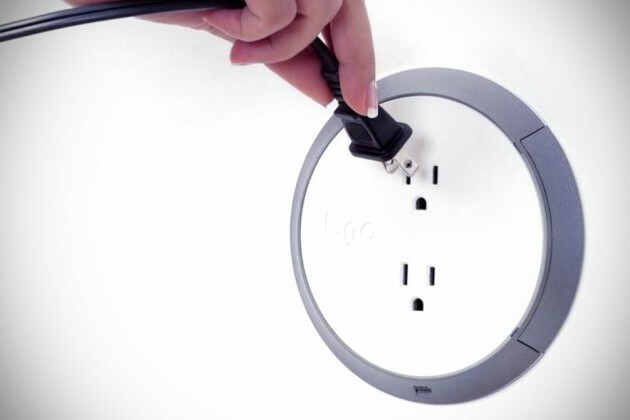 The basic Brio Safe Outlet is available for pre-order for $39, but will cost $49 at release this summer. 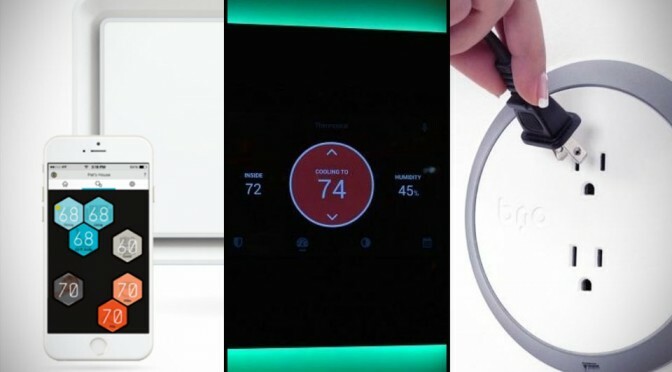 The Brio Smart Outlet costs $79 when pre-ordered and $99 at its launch this fall with the three sensors — carbon monoxide, smoke, and water — costing $39, $29, and $19 respectively. The Smart Outlet package that includes one Smart Outlet and one of each sensor costs $166 as a pre-order. 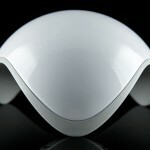 Brio will be a welcome, popular addition to the home automation market. Though Brio products a little pricey, the standard Safe Outlet is priced competitively with alternatives like the Belkin WeMo. For the price, you’ll be getting unparalleled functionality in an attractive, modern design with safety features that will surely put new daddies on Team Brio. You’ve probably heard some people referred to as being exceptional hot-blooded or cold-blooded, which is an expression that typically indicates someone is usually too hot or too cold. The fact of the matter is that we all prefer our home to be a particular temperature, which becomes an issues in households of several people who have opposing preferences. A one-temperature-fits-all model is what traditional thermostats and climate controls give us, but that usually means one person sets a home’s temperature while the other’s have to deal with it. Enter: Ecovent, the answer to our prayers. Ecovent was created to address the need for us to have a way to make different areas of the home comfortable to the occupants of that area, independently of the central heating and air conditioning system. In short, it breaks the home down into multiple zones and lets users set the temperature of the zone they’re in so all a home’s occupants are equally comfortable. On paper it sounds like this kind of individualized control would be complicated and expensive, but Ecovent gives you zone-by-zone climate controls via the battery-powered wireless vents, smart sensors installed at an outlet, the hub, and the intuitive app. The sensors detect each individual room’s temperature and humidity, then the vents open and close according to the desired temperature set by the room’s occupant via the app. Ecovent will be compatible with existing home automation tech, particularly smart thermostats like the Nest Learning Thermostat, and will save you up to 30 percent by reducing energy used to heat and cool unoccupied rooms. Ecovent can also be easily installed yourself and the components — smart vent and outlet sensor — will cost $250 per room with the hub costing $100 at launch in August. 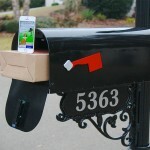 However, impatient men can reserve theirs now, which will also give you a discount on each of the components. Dane O’Leary is a full-time freelance writer and design blogger for Modernize.com. He has degrees in psychology and anthropology with additional study in journalism, graphic design, and public relations. Dane is currently working on his debut novel.